iron & ironing board(on request). 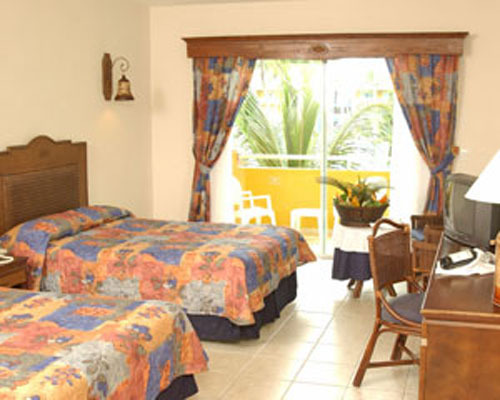 Grand Paradise Bavaro Superior Suites - All Superior Suites at the Grand Paradise are available with one King sized bed or two full size beds. Enjoy the warm marine breezes as you sit on your balcony complete with chairs and bistro style table to enjoy the views in comfort or read the complimentary weekday newspaper. Dresser/desk, chairs and table and mini bar let you create your tropical home away from home. Dial-up internet, TV with premium cable, hair dryer and iron/ironing board are available in each room. They've thought of everything for the family on the go or those that like to spend the evening in their room.